Form W 4 2013 is not the form you're looking for?Search for another form here. 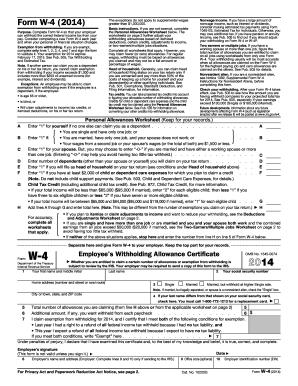 Form W-4 is known as the Employee’s Withholding Allowance Certificate. It must be completed by the employees of different corporations. Another individual can claim you as a dependent on the tax return. In this case you cannot request exemption if your general income is more that $1,500. What is Form W-4 for? 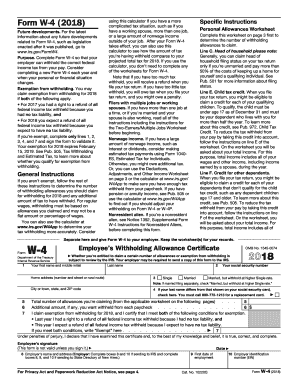 This form is specially designed for employees who must complete it for the employer to withhold a correct amount of the federal income tax that you pay. When is Form W-4 Due? The Employee’s Withholding Allowance Certificate must be filed every year. It is required only when the employee’s financial or personal situation has changed. Make sure to complete the form properly to avoid the misunderstandings with the employer. Is Form W-4 Accompanied by Other Forms? Sometimes additional forms may be required. When you have a huge nonwage income amount, you must complete Form 1040-ES that is known as the Estimated Tax for Individuals. To know more, check Publication 505. What Information do I Include in Form W-4? The Employee’s Withholding Allowance Certificate includes also the worksheet for deductions and adjustments, and multiple jobs. You must make some calculations in these two sections. Where do I Send Form W-4? You must send the completed certificate to your employer. However, the Internal Revenue Service may request its copy, so the employer will be obliged to do that. 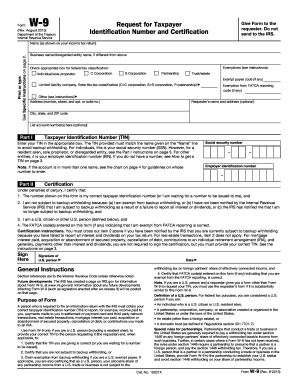 Inst 1098-Q, Instructions for Form 1098-Q, Qualifying Longevity Annuity ... Form 11-C, Occupational Tax and Registration Return for Wagering, 1213, 11/15/2013.